Surf City News	» Surf City Splash Rings in 2011, Public Invited! 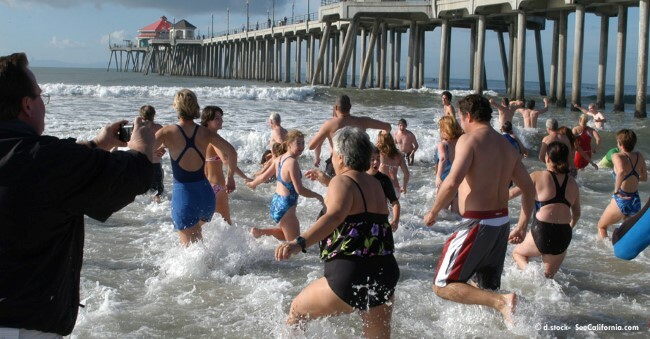 If you’re not at the Huntington Beach Pier on January 1, 2011, you are missing out on some fun. An annual dip into the ocean launches at high noon, but beforehand there’s a Pancake Breakfast with all you can eat grub costing $5/person from 9:30 -11:30 a.m. Recommended donation for the Splash is $10-15, and includes a certificate. Call Lee Love for sponsor opportunities: (714) 349-7706 or lovesurfcity@gmail.com. Note: There’s another Surf City Splash Fundraiser on Mar. 11, 2011. It is not affiliated with this event! This entry was posted on Wednesday, December 15th, 2010 and is filed under Events. You can follow any responses to this entry through the RSS 2.0 feed. Both comments and pings are currently closed.